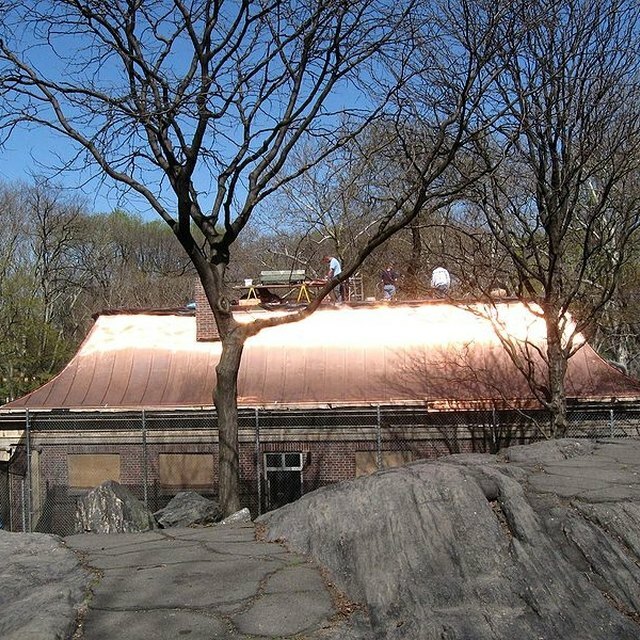 Metal roofing is a popular finish option for residential and commercial buildings. It is available in a variety of styles and materials, and is known for its durability and strength. Metal roofs can easily last for decades with little maintenance, and are commonly made from steel or aluminum. When choosing a metal roof, consider factors like cost, appearance and maintenance to determine material best for your home. Steel and aluminum are available in panels, shingles or tiles. Steel is generally painted to create the desired finish, and aluminum is left unfinished. Polished or matte aluminum works well with a modern or industrial design, and painted steel can complement a wider variety of decors. Aluminum roofing generally costs more than steel, though it may not last as long as steel that is properly protected from the elements. In coastal regions, aluminum is often worth the extra expense because of its ability to withstand corrosion from sea air. It is important to also consider the cost of painting and maintaining steel over time when comparing the cost of these materials. Steel roofing is heavier than aluminum, and often requires a reinforced structural framing system to properly support the added load. On an existing home choosing aluminum in place of steel can mean fewer structural upgrades and an overall cheaper installation. With new homes, the lower price of steel may make it more cost-effective to strengthen the roof deck rather than switch to aluminum. Steel is susceptible to rust and corrosion when exposed to the air. While aluminum won't rust, it is softer than steel. Its softer texture means that it may dent fairly easily, and should not be walked on during installation or repairs. Aluminum may also warp or buckle when installed on vertical roof areas due to its softer composition. Steel tends to withstand fire and heat more readily then aluminum, which often requires an advanced underlayment system to enhance its fire resistance. Galvanized steel is coated with zinc to increase its level of rust resistance. Though it is generally more expensive than uncoated steel, it is often cheaper than aluminum roofing products. Steel can also be coated with an epoxy primer to enhance its durability. Aluminum does not require any coatings or sealers, though it can be treated with a terne coating to give it a gray, matte finish.